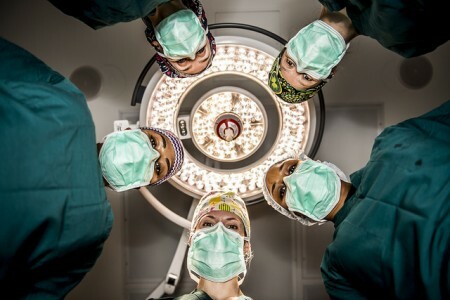 But to become doctors and to keep practicing well, women face a relentless gantlet of “bro culture,” in which crude anatomical language is common, where they are addressed as “girls” and sexism long has been rampant, and where they are personally and regularly subjected to inappropriate sexual advances, and coercive or threatening language about submitting to wrong sexual overtures. In a survey of established women faculty at academic medical centers, 52 percent of them reported harassment in their careers compared with 5 percent of men. In my practice, I see not only the significant harms that patients suffer while seeking medical services but also their giant struggles to access and afford medical care. The United States is a rich nation, gifted with great resources, including abundant talent. But no country on earth can afford to look askance or to mistreat half its population. We have a long way to go to see that women in medicine get paid fairly, treated appropriately, and promoted to make highest and best use of their astronomic skills, talents, and brains. Maybe this also will help ensure that women get more effective, affordable, accessible, and outstanding medical care they deserve, not the distant second, after thought medicine that they too often have gotten before. By the way, lest anyone think that powerful men in medicine are somehow beyond the reach of a deserved comeuppance for bad conduct, just consider that even the flailing administrators at the well-known University of Southern California got it together sufficiently to fire the hand-picked successor to a drug-troubled, hard-drinking, and ousted medical school dean. USC acted, it is true, only after word began to spread the replacement dean had cost the university $100,000 in a settlement earlier in his career for sexually harassing a young female co-researcher. He, according to news reports, traveled to a medical conference with his colleague but had booked only one hotel room—and expected her to share it and his bed with him. So now USC has fired two deans in quick succession for misbehavior. Will it have learned its lesson? We’re watching.